Maria Sharapova's racquet of choice. The Head YOUTEK Graphene Instinct MP offers intermediate and advanced players that familiar blend of maneuverability, spin and precision that we have come to expect from the Instinct franchise. Weighing 11 ounces and possessing a swingweight of 310 (RDC) the Head YOUTEK Graphene Instinct MP propels very swiftly through contact. To further optimize stroke speed and power, Head deploys a very unique substance called Graphene, a composite so light and strong that it allows weight to be repositioned from the shaft to the handle and tip of the Head YOUTEK Graphene Instinct MP. The result is a groundstroke weapon that supplies the power and stability needed for aggressive tennis. 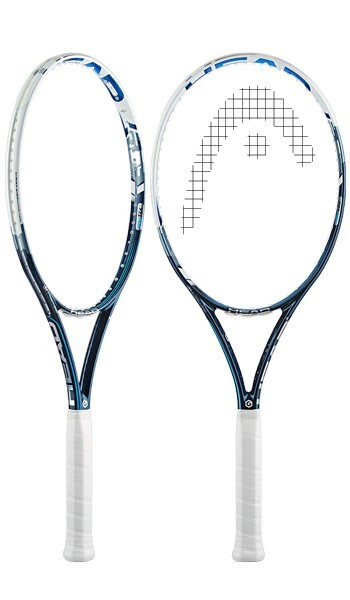 With the Head YOUTEK Graphene Instinct MP's open 16x19 string pattern, there is enough bite for creating penetrating topspin and slice. The maneuverability and stability of the Head YOUTEK Graphene Instinct MP is doubly apparent at net where the attacking all-court player or doubles specialist will enjoy very easy shot-making. Finally, on serves the fast feel of the Head YOUTEK Graphene Instinct MP is perfect for whipping up slices and kickers. Overall, this is a very versatile stick offering the perfect blend of maneuverability, comfort, power and spin. The Head YOUTEK Graphene Instinct MP is now available in India. Free shipping is available for Delhi, Bangalore, Chennai, Hyderabad and all locations in India.